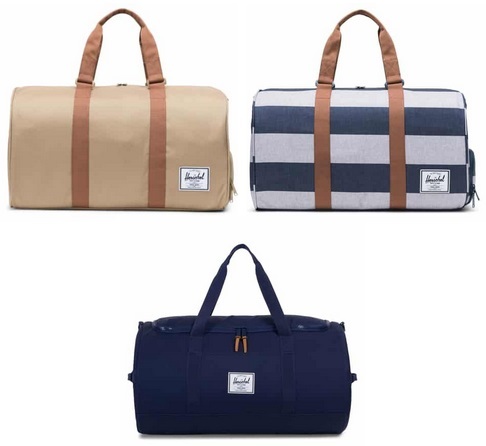 Home > Uncategorized > Herschel Supply Co. Duffel Bags From Only $34.98 + Free Shipping!! Herschel Supply Co. Duffel Bags From Only $34.98 + Free Shipping!! April 14, 2019 Comments Off on Herschel Supply Co. Duffel Bags From Only $34.98 + Free Shipping!! Nordstrom has these Herschel Supply Co. Duffel Bags marked down from only $34.98!! Nordstrom always offers Free shipping & Free returns! Herschel Supply Co. Sutton Duffel Bag – Only $34.98 + Free shipping!! Herschel Supply Co. Novel Duffel Bag – Only $42.49 + Free shipping!! Cherie Accessories Headband Sale On Zulily – Up To 45% Off!